As we are only 1 week from the competition, here is the flying order. Everyone is using 2,4GHz except 1 pilot, so no peg or anything will be required during the contest. 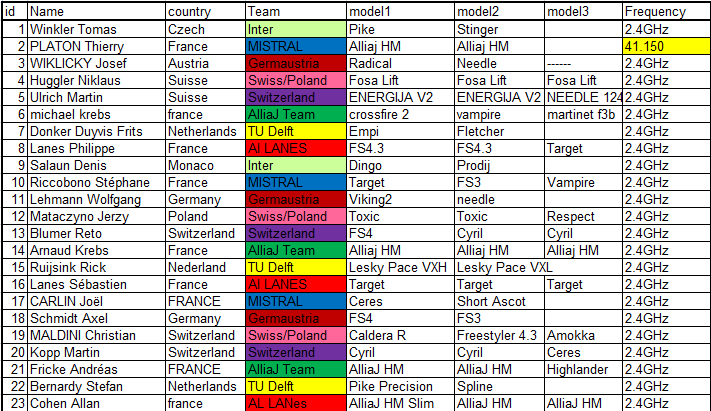 I have made some mixed teams for those who did not specify one.